Abstract: Realistic rendering of computer modeled three dimensional surfaces typically involves estimation of the reflectance properties of the material to be used for rendering the surface, or use of photographs of the material for texturing instead. 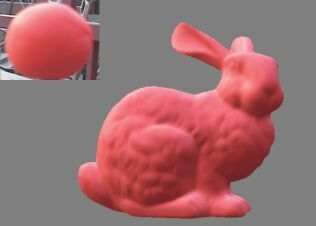 Bidirectional texture functions (BTFs) can be used for this purpose, however, full coverage of all viewing and lighting directions desired must be acquired or estimated. 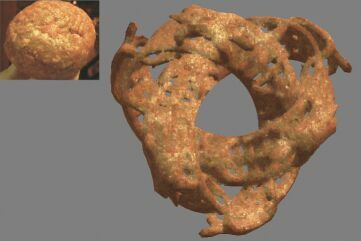 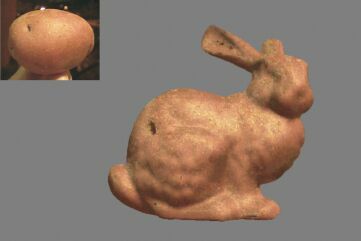 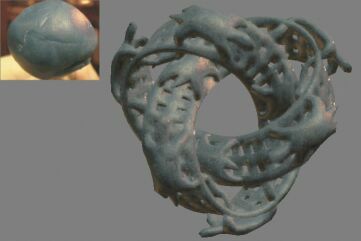 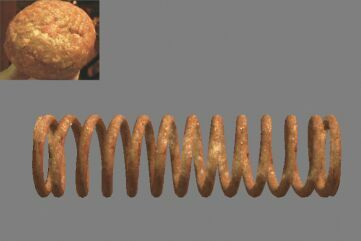 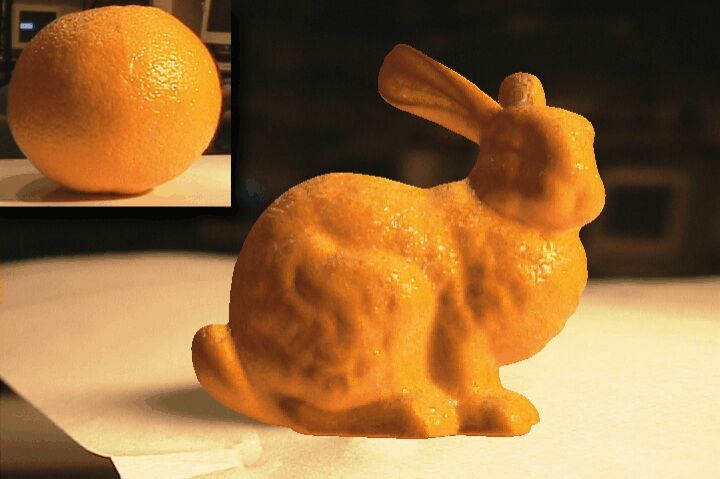 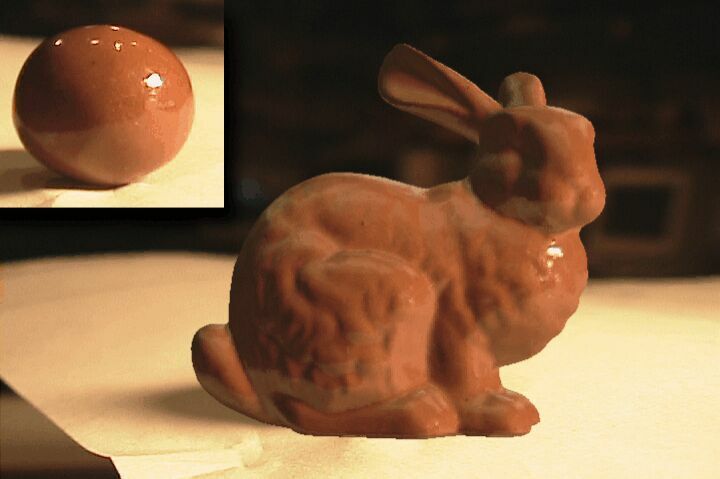 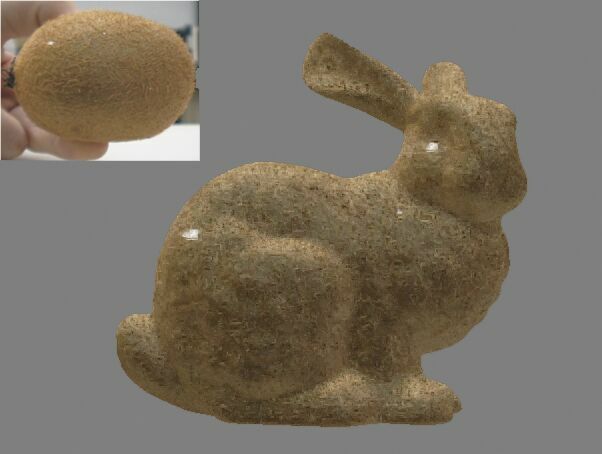 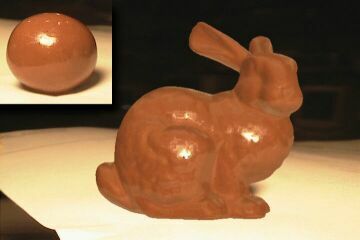 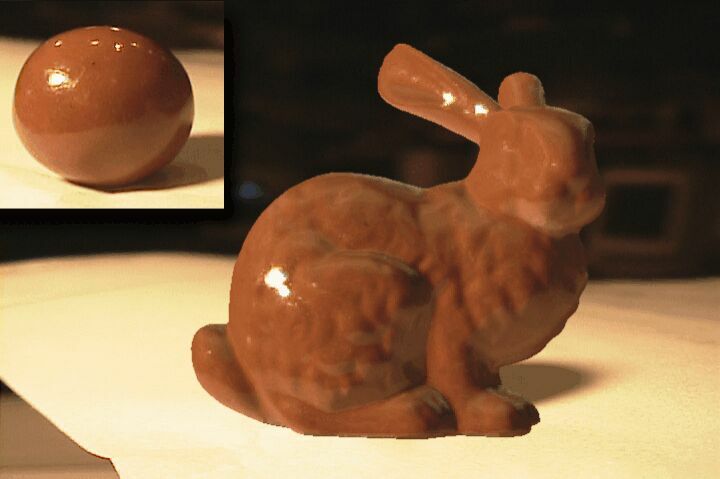 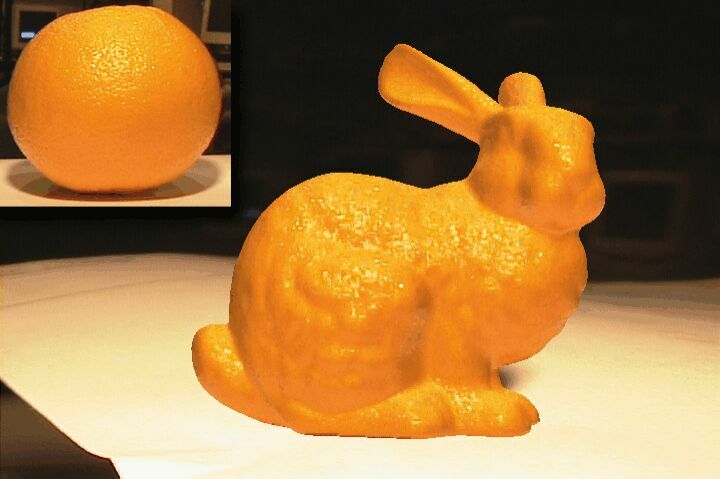 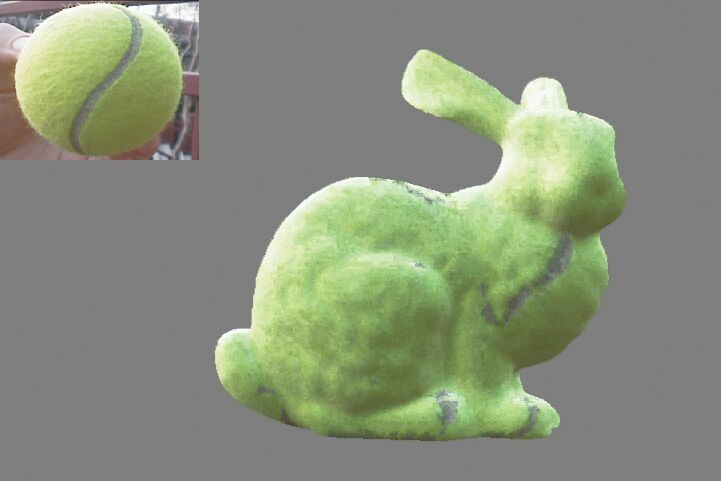 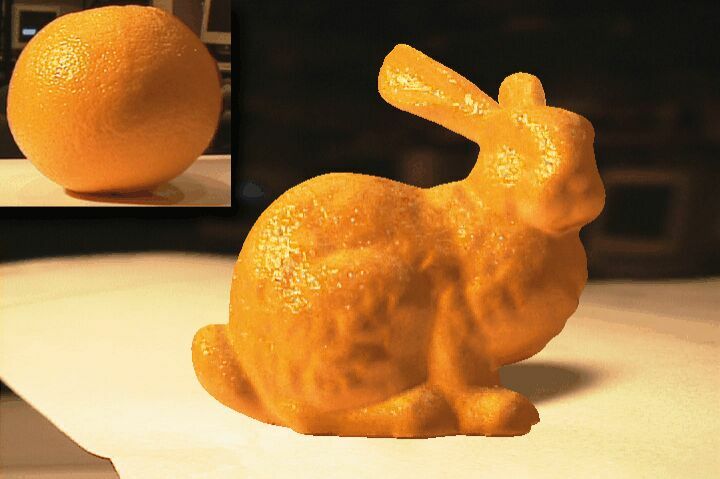 We present a computationally inexpensive method for rendering a 3D surface using a single image. 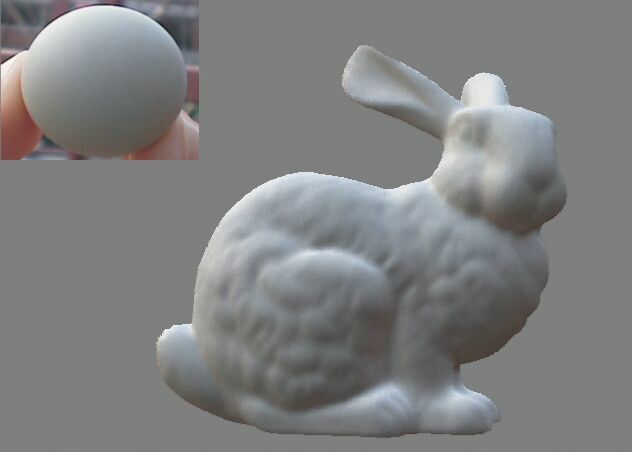 We use a photograph of a sphere or ellipsoid of the source material as the exemplar and sample from it non-uniformly and coherently to produce a realistic rendering of an input 3D model from a fixed viewpoint and lighting position. 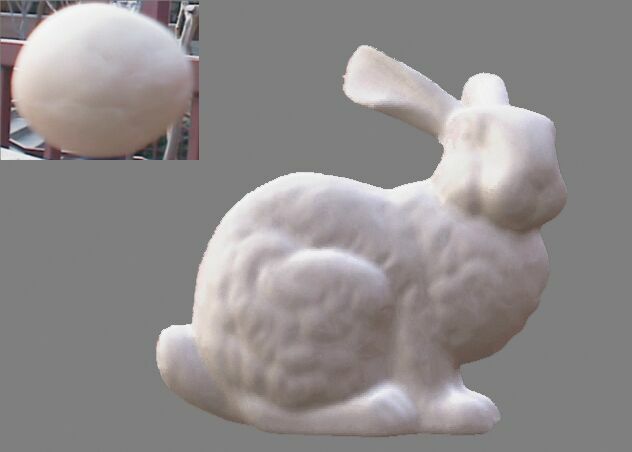 Our method is very simple, yet fills the niche between pure 2D texture synthesis methods and full BTF synthesis. 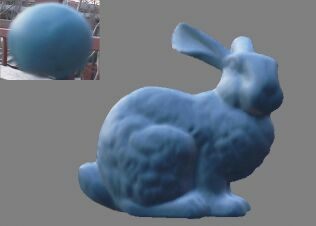 Vision, Modeling, and Visualization 2003, Munich, Germany, November 2003. 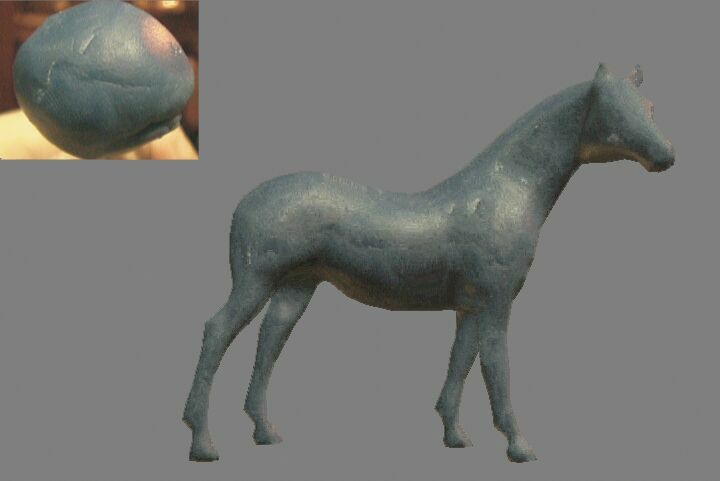 (Abstract | PS.Z | PDF).